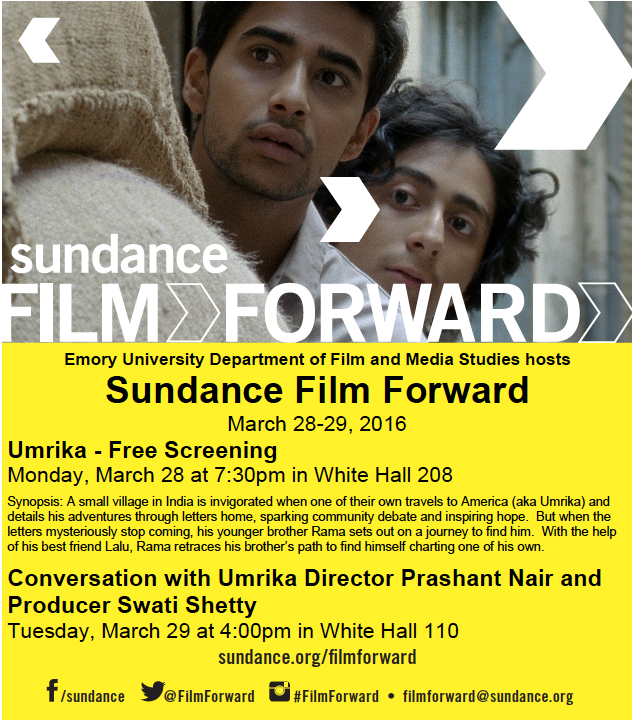 Emory Indian Cultural Exchange (ICE) and The Halle Institute for Global Learning ​present: India Week 2016. We are excited to create a full week of exciting, engaging, and entertaining programming so come celebrate with us! The Halle Institute for Global Learning, Emory Hindu Students Association, Emory's SPC: Student Programming Council, and Emory Cricket Club! Featured on the panel are distinguished faculty members Dr. Scott Kugle and Professor Deepika Bahri, who will talk about their research and touch upon topics such as Cultural Appropriation of India Culture. Following the panel will be information about study abroad opportunities and a performance by the Emory India Music Ensemble. Formed in Fall 2007 and directed by sitarist, Dr. Kakali Bandyopadhyay, the ensemble comprises of musicians who sing and play the sitar, harmonium, and tabla. This is a dynamic, dedicated, and motivated group of individuals who are eager to perform the intricacies of the Hindustani classical music tradition. There will also be a variety of Indian snacks to enjoy! Enjoy a hot, savory, spicy samosas delivered directly to you in ICE and HSA’s Samosas-To-Go!! Even better, all proceeds go directly to Akanksha, an organization helping in the education of underprivileged children through mobilizing funds, voluntary services, and resources. Enjoy the tastes of India (complete with cuisine samples from different regions of the country) along with Bollywood music and live entertainment! The food is completely FREE, and will include dishes such as dosas, chaat, curries, and naan. Come out to this incredible arts showcase, a tradition of Emory ICE. It's the perfect opportunity to experience the local community's talent via a range of exhibitions from dancers, singers, musicians, artists, and more! Indian finger foods and hot milk chai will be served. 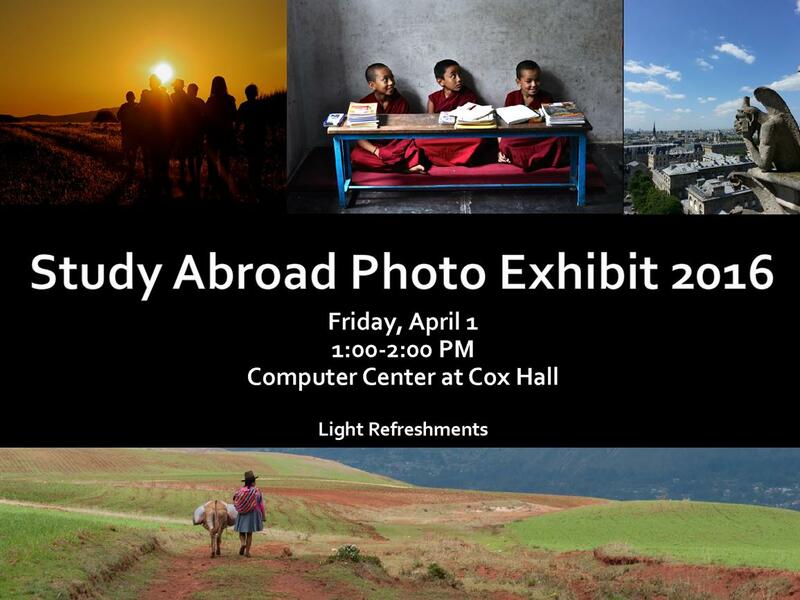 The 2016 Study Abroad Photo Exhibition is at hand! Photo contest winners will be announced and a new series of photos will be on display in the Computing Center in Cox Hall. Winners are selected according to the category in which the photos were submitted: Perspective Shift, Academic Insight, Global Issues, Personal Growth and Cultural Comparison. Come to share about your own study abroad experience or to meet study abroad program alumni! Join us on Friday, April 1st from 1:00-2:00 p.m. in the Computing Center in Cox Hall! Light refreshments will be served. The Consul General of India in Atlanta, Mr. Nagesh Singh will be giving a talk titled “India and the World of the 21st Century”. The talk will highlight the idea that As political and social strife, extremism, and terrorism show their ugly faces in various parts of the world, it is vital for us to understand the reasons for India’s relative success, despite its diversity and complexity in terms of its myriad languages, ethnicities, castes, religions, and socio-economic disparities. This will be accompanied by snacks and refreshments. Come join Emory Cricket Club and Emory ICE for a cricket match. The match will be 10 a side and will be 10 overs each. Each team will have pairs of batsmen that will bat 2 overs each thus allowing everyone in the team to bat. Each team member will also have to bowl one over each. Even if you haven’t played before don’t hesitate to sign up! The match should last approximately one hour and a half and refreshments shall be provided! Holi is the Indian festival of color that occurs in the spring. The event symbolizes the victory of good over evil and is celebrated by playing with color, singing, and dancing. Celebrate with the entire Emory community as we get lost in the color and experience life from a new perspective!